Auto Sync makes exporting reports to an accounting integration much easier for Expensify users. Previously, if a report failed to export to a direct accounting integration, users would be notified by email and directed to fix the error in their Expensify accounts. 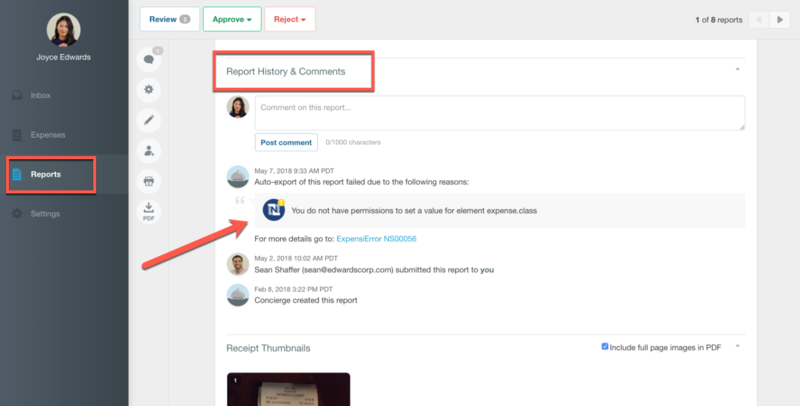 To make the process smoother and more transparent for you, we’re cutting down the steps and will now list the auto-export failures as report comments under the Report History and Comments. You no longer need to wonder why a report failed to auto-sync and go through multiple steps to figure out what the issue was in the first place - all the information related to your reports will be listed under this one section. Please note that this new functionality is available for the following accounting integrations that support auto-export: NetSuite, FinancialForce, QuickBooks Online, Xero and Intacct. You can learn more about Auto Sync in this help doc here.